Q: Why should I teach my child to read? A: With the budgets cuts in school systems, many schools simply don’t have the resources to teach children to read. Kindergarten classes can have 25-30 children in a class with one teacher. Some children are getting very little instruction and support and quickly falling behind. Once a child is behind, the school experience only becomes more difficult. If parents teach their children to read at home, they should be able to read when entering kindergarten. A child who can read when entering kindergarten, has a huge head start. With this head start, your child builds a sense of confidence in his/her ability to thrive in school. School will be a positive experience from day one. When a child feels successful, they will look forward to going to school every day and want to keep learning. As a mother, my philosophy is “get ahead, stay ahead.” At the end of the day, school is a race. The children are competing with each other to get into the best colleges. The parents who invest the time into their children, generally end up winning that race. That race starts in kindergarten. The kids who get ahead, usually stay ahead. Another reason to teach your child to read is because not all children start school, “school ready.” There are a variety of reasons why your child may not get the education he/she deserves in his/her early years. It could be a learning disability, under funded schools, inadequate teaching, and the list goes on. You can’t control how your child is taught in the school system. However, you do have the power to get your child ahead, and ensure he/she starts school with a head start. Q: Why is this program so inexpensive? 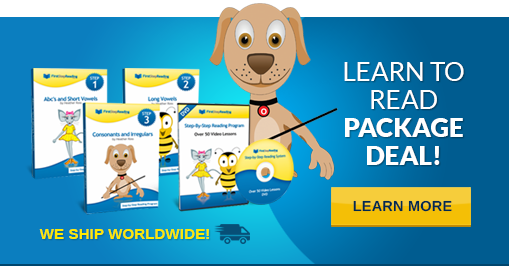 Why is your program not the price of an average "learn to read" program ranging from $99-$300? A: This program was created by a mother for other mothers and fathers. As a mother, I did not want to pay hundreds of dollars for a “learn to read” program. I was just a mother trying to teach my children to read. So, I would never charge others an amount I would not be willing to spend. The way we are able to keep the cost so low is by not spending money on advertising. We simply place samples of our videos lessons online and we hope people enjoy our product. We also rely on parents telling their friends about our program through Facebook. This is how we have grown and kept the price so low. So please share this website with your friends and help us continue to keep the price so low. A: The first two sections teach the basics, letters and letter sounds. We use video lessons to teach the lessons to the child. To supplement these lessons, the parent uses the flash cards provided for practicing the letter sounds. Once the child knows the basics, he/she moves on to learn letter blending, sight words, and exceptions. These lessons are broken up into 9 sections and 44 lessons. For each lesson there is a video instruction. Once the child watches the video lesson, he/she goes to the corresponding lesson in the book. The lesson in the book will cover the material learnt in the video. The video acts as the teacher and teaches the child each new concept. The book allows the child to apply the knowledge he/she learnt in the video and practice the new concepts. Q: Is this program a Gimmick? A: No. 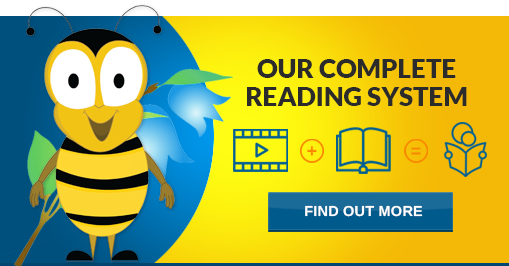 Our Learn to Read system is based on the fundamental reading principles: Phonics, Sight Words/ Memory Words and Sound Exceptions. The reading concepts we teach in our system, are the leading reading principles taught in school across America. Q: What makes your system unique? A: There are a few key points that makes FirstStepReading very unique. Firstly, our system is a COMPLETE “learn to read” system. Once you purchase our system there is nothing else to buy. It takes a child who doesn’t know his/her letter sounds and guides him/her to reading beginner books. We give you over 50 videos, 3 reading books with over 250 pages and hundreds of flash cards. Second, this program was created by a teacher and a mother. The teacher makes the program fundamentally correct, the mother makes sure this program is fun, engaging, and something children will enjoy and want to keep doing. A: You can start as early as six months old. Parents can begin by playing the videos so that their child becomes familiar with letters and letter sounds. No prior knowledge is necessary and there is no age limit for using this program. If someone wants to learn to read, this system is for them. Q: What qualifications does Heather have? A: Heather holds a Master Degree from UCLA in Elementary Education. She was a teacher in Los Angeles Unified School District. She faced many children with reading challenges and developed her own techniques to help her students catch up and excel. Heather also has twin boys that she taught to read from the age of 6 months. By the age two, her children were able to sound out words and read simple books. By kindergarten, both her sons were both reading at a third grade level. Q: Is this program good for ESL, English as a Second Language, students? A: Yes, this program is great for ESL students. 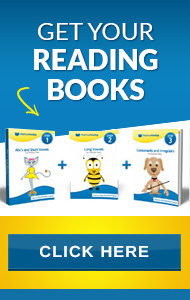 FirstStepReading.com teaches the fundamentals of learning to read the English Language. It does not matter if English is the child’s first or second language. The program teaches the child from the beginning with letter names and sounds and does not expect that the child has any prior knowledge of the English Language. Each stepof learning to read from the very beginning is provided so that every child has the opportunity to be successful and learn to read step by step. Q: My child is past kindergarten and first grade and is struggling with reading, will this system help? A: Yes. You can either start at the beginning with the fundamentals and work your way up or if you know where your child is struggling you can start there . If your child is older he/she will breeze through the beginning lessons until you find the level that your child is at. Once you find your child’s level you will be able to use the system to guide your child to learn the following lessons and learn to be a better and more fluent reader. If your child needs extra help learning to read certain words or learn to read concepts, you can also find those areas in the curriculum where your child needs extra help and let the program teach and assist your child in learning to read from that point on. Q: How do I log-in once I've purchased the online program?